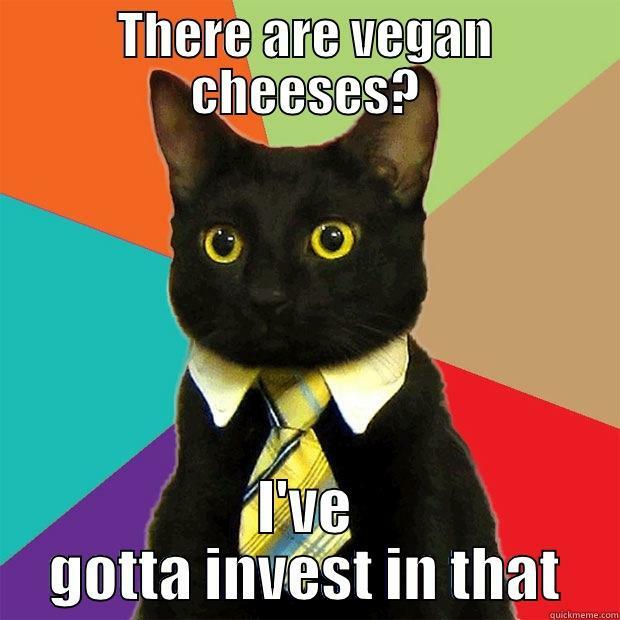 Vegan cheeses are awesome. They are healthy and delicious without the additives and fat. Try some of these to get some more inspiration! Ever been to a party and there’s nothing you can safely eat without risking your dietary choices? 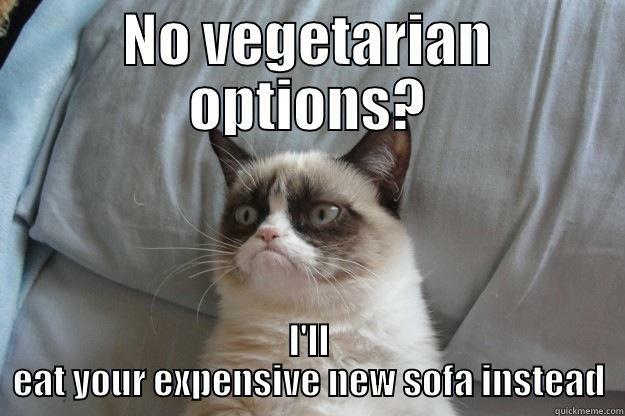 Grumpy cat understands completely. Next time you head to a dinner party, be a great guest and bring something with you like this Vegan Pesto Lasagna. 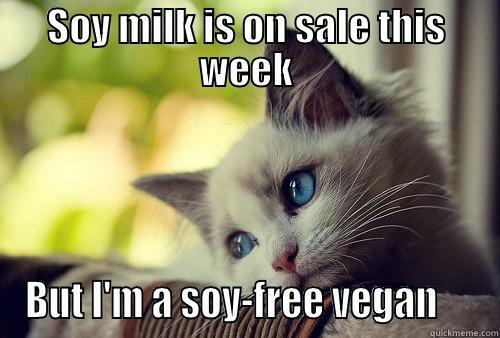 Sometimes, those sales are great bargains if you’re buying instead of making your own dairy-free milk. Poor first world cat gets you. Try making some oat or nut milk instead of soy to forget the savings missed and replace them with yummy homemade options. Finding take out can be a bit of a problem if you’re on a plant-based diet. Thankfully, these days, there are a ton of helpful websites to help you find vegan and vegetarian options in your neck of the woods. I recommend VegDining.com or HappyCow.net for searches in your area. Just like how vegans/vegetarians don’t eat animals, neither does this little guy. Granted, he may not like them climbing all over him, but at least he’s sparing a few precious little lives. Here are 5 reasons to spare animals from death for our own food purposes. OK, I couldn’t resist throwing in Grumpy Cat one more time. I mean, look at that face. Not everyone shares his dark side, but whatever it takes to keep up the vegan/vegetarian lifestyle, right? 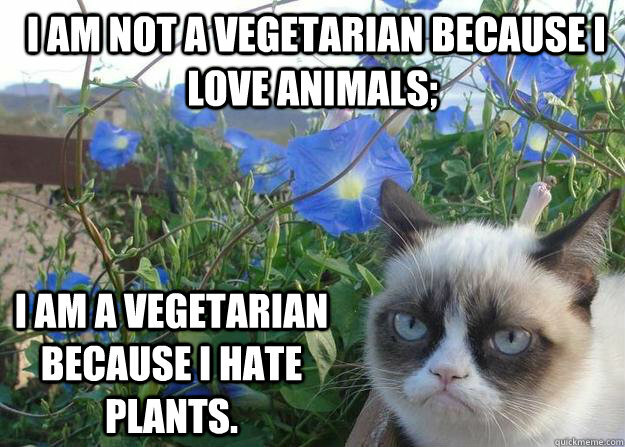 Here are 10 really good reasons to eat vegan even if you don’t share Grumpy Cat’s hatred toward plants.